From comfortable one-bedroom apartments to amply sized three-bedroom homes, Lighthouse at Twin Lakes Apartment Homes offers a variety of floor plans ranging from 463 – 1,280 sq. ft. Each home is designed with exceptional upgrades, including a full-size, in-home washer and dryer for your convenience. While you wash your clothes, prepare a home-cooked meal in your fully redesigned kitchen, or relax outdoors on your enormous private balcony or patio. 22 Floor Plans Ranging From 463 – 1,280 Sq. Ft.
At Lighthouse at Twin Lakes Apartment Homes in Beltsville, Maryland, you don’t have to settle for less. Schedule a tour of your favorite floor plan today. Experience a lifestyle upgrade in the enhanced living spaces at Lighthouse at Twin Lakes Apartment Homes. 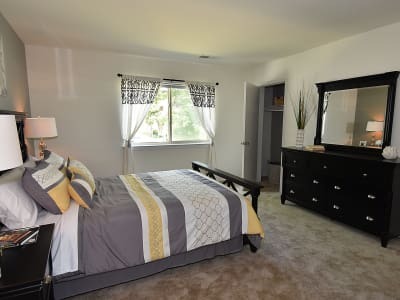 With more than 22 distinct floor plans available, you can choose your favorite from our studio, one, two, and three bedroom Beltsville, Maryland, apartments in the Calverton neighborhood. 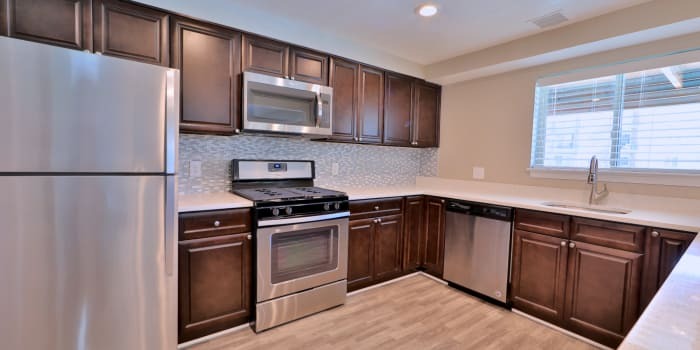 Your new home features a modern floor plan with a spacious den as well as thoughtful upgrades, including beautifully remodeled kitchens and baths. For your peace of mind, your new apartment will undergo the Morgan Properties 101-point inspection to ensure it meets our quality standards.